Remember, the above figures are averages. Around-the-clock in-home care can easily cost $11,000-$12,000 per month. While some might begin needing long-term care after a sudden health event such as a stroke, often the need for more and more care progresses over time, especially with degenerative diseases such as Alzheimer’s disease, Parkinson’s disease, and dementia. Often informal caregiving by family members begins at home before eventually progressing to hired home health care. As the home health care needs increase, a decision may be made that assisted living would be a better quality of care and a more cost-effective approach. And eventually, as the need for skilled care arises, the transition from assisted living to a skilled nursing facility becomes necessary. 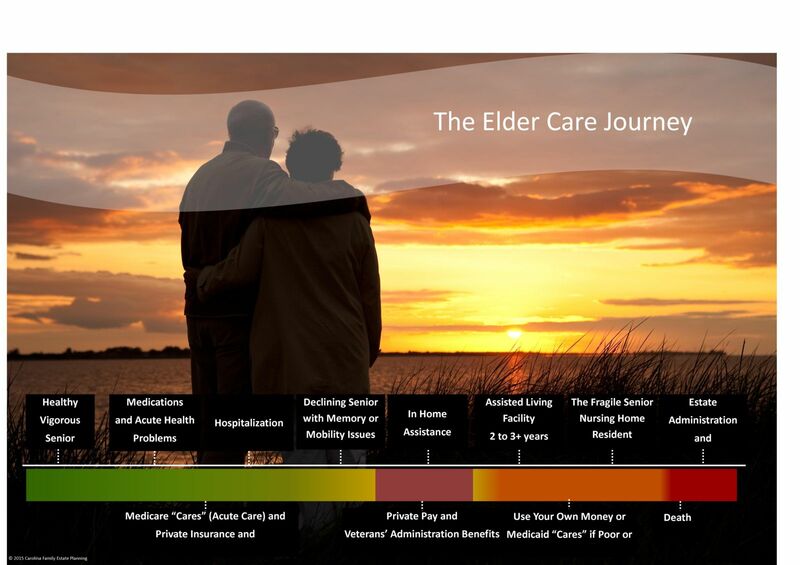 In our office, we refer to this as The Elder Care Journey. According to the National Center for Assisted Living, the average age of a resident upon entry to an assisted living community is 84.6 years old. Sadly, we’ve also worked with many families with a loved one in their early 60s that need assisted living or skilled nursing facility care due to a severe stroke or early onset Alzheimer’s disease.